A festive toast in wreath form. This deluxe wreath is lovingly hand crafted using beautiful fresh winter foliage - fragrant spruce, holly & eucalyptus. 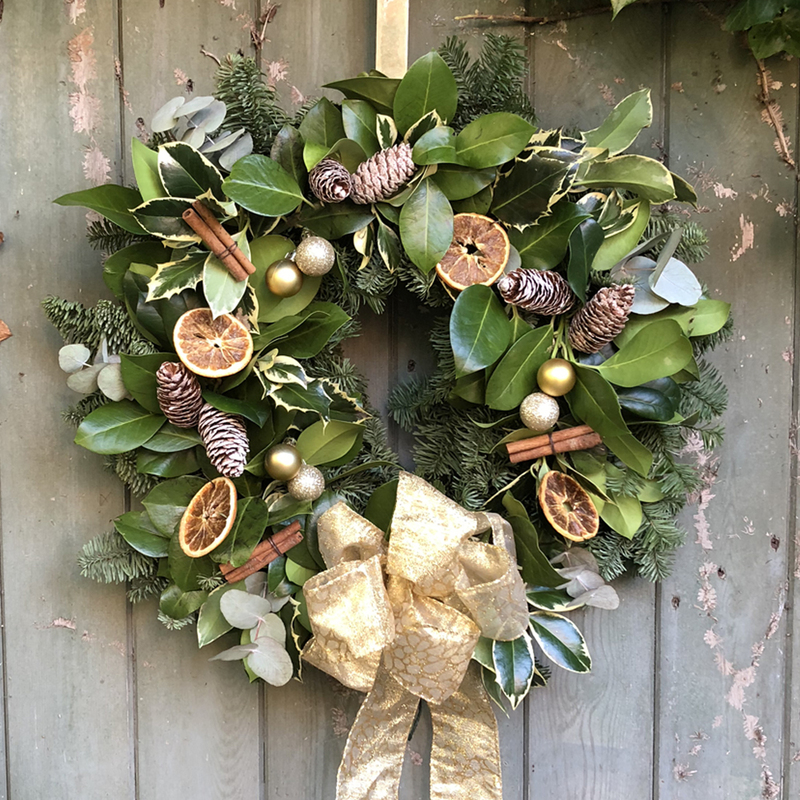 It's decorated with frosted pine cones, spiced orange slices, cinnamon sticks, gold baubles with a touch of sparkle & finished with a luxury gold wired bow.